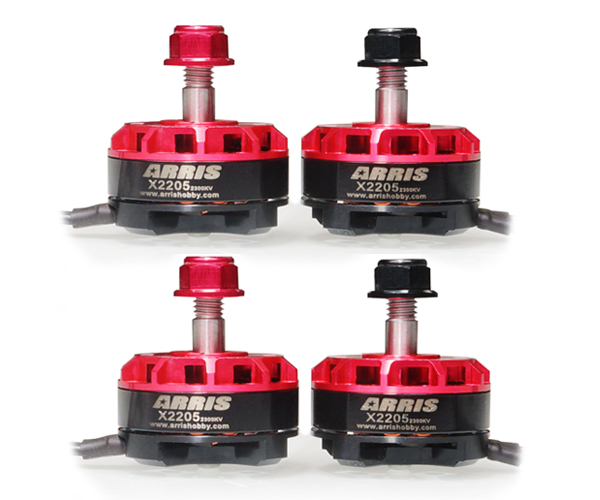 ARRIS X2205 2300KV V2 brushless motor is the upgrade version of the X2205 2300KV motor.On the basis of advantages of the X2205 2300KV, the V2 motor has improved the following aspects. 1. Adopts the brand new M5 steel shaft, improving the structure strength. 3. Upgrade to centrifugal fan design, optimizing the heat dissipation. 4. Adopts original Japan NSK bearing, improving the performance of the motor. 5. Adopts N52 tile-shaped magnets. 6. The motor passed more than 20 kinds of tests before leaving the factory, ensure the quality of the motor.